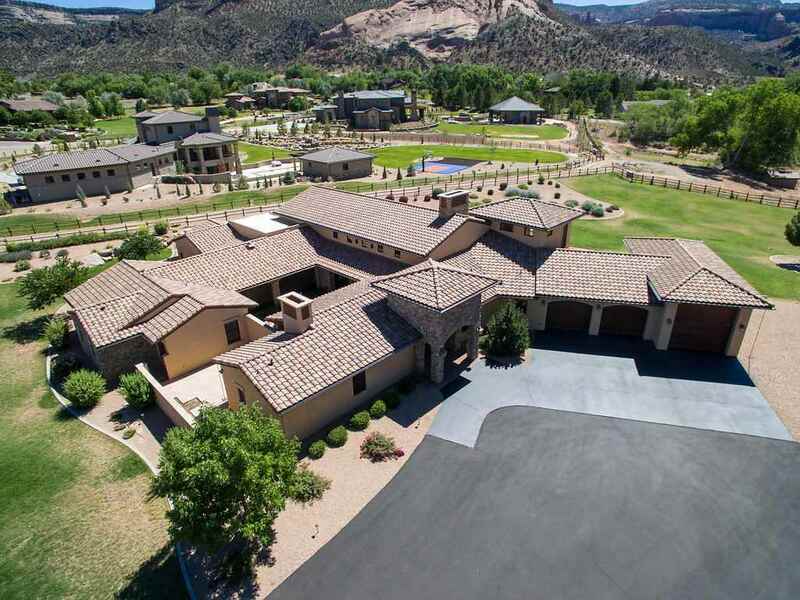 This executive home is one of a kind. If you love the Tuscan Style home here it is. It&apos;s built using ICF (Insulated Concrete Forms) which provides maximum energy efficiency, decreases utility bills & makes the home quiet, comfortable and disaster resistant. You will be impressed when you walk into the great room with 30+ ft beamed ceiling, random width hickory floors, surrounded by porches and courtyards to take in the monument views. The kitchen is well appointed with a Wolf Gas stove, warming drawer, subzero refrigerator, induction cook-top and so much more. Enjoy entertaining guests in your private wine room and then take them upstairs to the tower room where you can take in the private views of the monument. Its like having your own Italian Villa. The home includes a one bedroom/bath casita with a private entrance for your convenience.